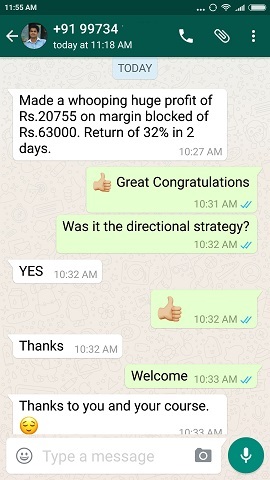 Yesterday I was very happy to receive a testimonial of my option course within 2 hours of sending it to a trader. Thank You for sending the strategy. 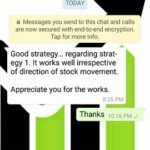 Read all the strategies and have no doubt as a trader. I know this is going to make money. The strategy 1 is best of all. Strategy 3 is pure use of intelligence. Q1: I want to know in how many days on average the Strategy1 are exited in normal market condition? Q2: Strategy1 can be traded today at current VIX? 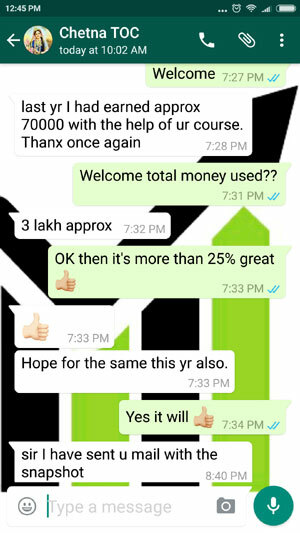 Usually I get testimonials from my customers after one or two months that is only after they recovered the cost of the course. 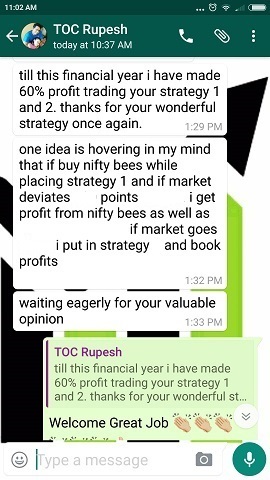 Let me tell you again that it takes at most 2-3 trades of Strategy 1 only to recover the cost of the course. And on an average this can be done anywhere in one or two months if you are trading with one lot only. If you trade with more lots it will be recovered in 15 days. But what made me more happy was that it looks like this person is a hard working man. Believe me people who believe in hard work are the ones who will surely succeed. Those who think there is a short cut and easy way to success let me tell you one thing – there was a time I used to think the same and lost 100% of my savings by speculative and tips taking trading. That was Rs. 7 lakhs from 2007-2010. This loss changed my life and now I work hard not just as a trader but in any work I undertake. This gave me immense experience and knowledge – the result is in front of you. This very site. Do not forget that I also trade mutual funds and stocks (for medium term) and rarely lose money at least in mutual fund trading. As far as options trading is concerned some of my customers are actually doing better than me – but I do not care. Fact is I hate keep looking at Nifty or a stock movement from 9.15 am to 3.30 pm. I do not think we were born to keep looking at stocks move from 9 to 4. I do not call that a life – I call that time pass. It does not matter if you make money more than me or less but I want to control my time and not let anyone else that includes money to control my time and life. To hell with that money which takes away my peace. My goals are long term and not short term and am pretty happy with the performance. So I want to enjoy my life as well. After all I am making money to enjoy my life not keep looking at Nifty half a day. That’s the reason I never ask those doing better than me to tell their trades. Money is the means to get an end. I am already getting the ends then why should I care about money? To give you an example if me and my wife plan to see a movie we usually see the 9-9.30 am show (Monday to Friday) in a multiplex near my home. Why? Because our kids are in school doing their job – getting education and we get an opportunity to do what we want and some privacy and time to spend together. This not only keeps our family bonding good and healthy but also saves a lot of money. For example we need to pay just Rs.50-100 for one ticket for the best seat in movie theater which usually costs Rs.200-250 in weekends. Money saved, same great experience of watching a good movie and more importantly my life is in MY CONTROL not in some useless trading control. Do not forget that my trades are still doing their job – making money as time passes. So why am I not worried? Because I have hedged them 100% why unnecessary keep looking at them or be always in panic? When there is an insurance of my trading capital why should I bother about it at all. Those who have done my course know that. I hope you are understanding what I am trying to say. 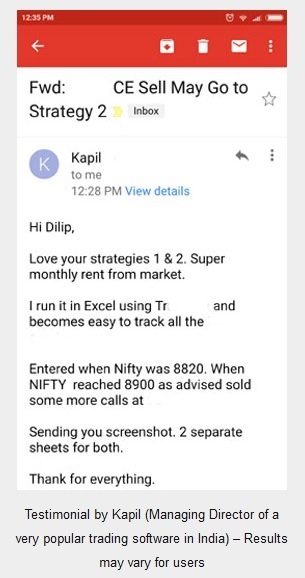 Let’s assume you are making 1 lakh a month from trading. 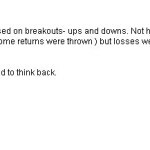 Intraday or positional whatever. But you keep sitting in front of your monitor and keep watching your trades to book profits or take a stop loss. So from 9.15 am to 3.30 pm (more for people who trade in commodities I think it’s open till 10 pm. Please correct me if I am wrong as I do not trade commodities and have no interest in doing so.) 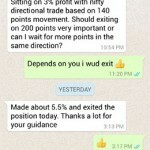 So whose life is better – a trader who makes around Rs.50-75000 per month but can go out anytime he wants and enjoy his life or this full time trader who is in a panic state of mind most of the day making almost double than the previous trader? Obviously life of the first trader is better. I am willing to make less – but I will not allow money or the stock markets to take away my precious time which will never come back from me. Let me tell you a simple fact – if I want I can increase my trading capital and make more – but I am not interested. My risk management does not allow that. Money management for me comes first than comes how to make money. Interestingly most traders have lots of money but they want to make more money. If you ask them why? They will have no answer. My point is if you do not know why you want to make more money then why run after something that you will not use in your life at all? You must know how much money you want and when and work towards achieving your goals. That is it. Anything more will only bring more stress. That is one of the biggest advantage of my course. 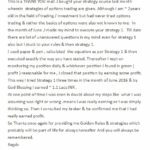 You start making money slowly – agreed its small (but 3% a month if compounded is not small believe me – I am an example) – but most importantly you will feel stress free and tension free when you start trading the strategies written in my course. If you are happy with small profits without taking any tension please do buy my course. But if you are looking for extraordinary profits from stock markets every month then let me tell you that its a virtual dream. Stock markets are there since the 1950’s – so some 70 years of its existence NOT A SINGLE person achieved even 10% return every month for even 10 months consistently. Those trying to make this money actually end up losing 10% every month and within a year all their trading capital is lost. Still they do not learn, bring more money and lose again. For example this person lost 2 crores trading the stock markets – can you imagine? A fixed deposit in a bank giving 7.5% return a year a good enough to live a lovely life just by enjoying the money earned in interests. But he just could not control his greed and lost a life time amount which many people are unable to save their whole life even with a great salary. If you are one of those who is losing money trading the stock markets in hope that you will make a lot of money one day let me warn you – nobody in the history has ever done that. Even the best investor and trader in the world Warren Buffett was able to make only 2% per month but he kept on compounding it for 25 years and made a lot of money. Lots of people do not know that he had an insurance business as well which was making an amazing income. He was dependent on profits coming from this insurance business not money made in stock markets. Hope you get the point – the right mindset gives the right results – wrong mindset will give wrong results. My course is perfect for the right mindset people. Please do not waste your time and money enroll today. VIX is low you can wait for it to increase a bit or if you still want to trade, then reduce the trading capital. One day when VIX spikes more than 4% enter with rest of the money. Sir,as Vix is low can we trade directional strategy? Sorry seeing this now. Whenever you think huge move is coming just trade the directional strategy. Remember that VIX does not matter, movement does.